"This natural, intuitive, empathic sense"
When bassist Scott Colley, saxophonist Joshua Redman, drummer Brian Blade and cornetist Ron Miles took the stage at Jazz Standard on Jan. 12, in one of the first performances of Still Dreaming, their effervescent tribute to Old and New Dreams, it felt more like an uncanny reunion than homage. “Dewey’s Tune” and “Guinea” sat comfortably next to originals penned by Redman and Colley, yet the group handily eschewed the pitfalls of impersonating their musical forebears; the original quartet is irreproducible, but the new incarnation took its spirit and soared. The instantaneous group cohesion was no surprise. To some extent, all the players grew up with their Old and New Dreams counterparts. On Dec. 29, during a set by the Chris Potter Trio at Dizzy’s Club Coca-Cola, Old and New Dreams’ bassist, the late Charlie Haden, loomed large-particularly when Colley quoted Stephen Foster’s “Oh! Susanna” in the middle of his solo on “Sky,” the culmination of Potter’s densely orchestrated 2015 release, Imaginary Cities. With a Potter arrangement pared down from 11 to three parts but just as potent, Colley captured Haden’s striking ability to signify on pastoral Americana within an eclectic array of contexts, without ever compromising the integrity of the piece at hand, its historical backdrop or his own inimitable style. 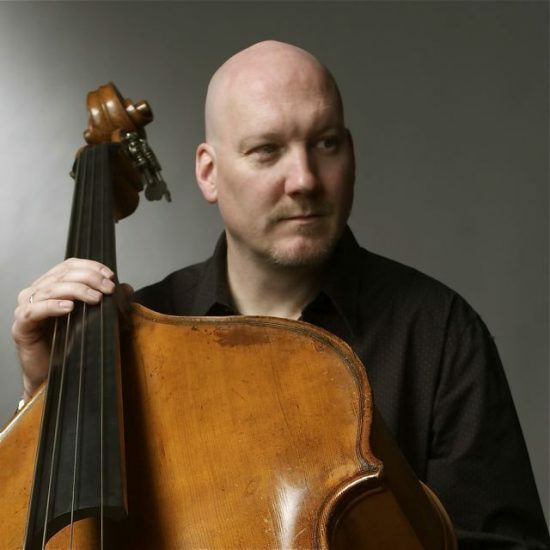 The 52-year-old bassist and former Haden student has the same rare ability to traverse musical landscapes while maintaining his own impressionistic aesthetic, a versatility that he has applied recently to Still Dreaming and to a collective trio with Blade and Danish alto saxophonist Benjamin Koppel that released its self-titled debut last year. Colley will debut a quartet featuring trumpeter Jonathan Finlayson, pianist Kevin Hays and drummer Nate Smith at the Village Vanguard in April, with an album to follow. He also appears on guitarist Julian Lage’s new trio album, Arclight, and a forthcoming album by Steel House, with Blade and pianist Edward Simon. “I’ve always felt that Scott is one of the most musical bassists playing today. To me, he seems to have that same thing that Charlie Haden had-this natural, intuitive, empathic sense of how to bring the most out of the other musicians and the music he’s playing,” says Redman. Colley’s mentor gave him the foundation he needed to position himself at the forefront of a new generation that began to emerge in New York in the early ’90s. After touring with Carmen McRae, Clifford Jordan and Dizzy Gillespie, Colley graduated from CalArts in 1988 and relocated to New York, where he soon met Potter, drummer Bill Stewart, Donny McCaslin and others cutting their teeth on the jam-session circuit. This eventually led to collaborations with Joe Henderson, Jim Hall, Herbie Hancock’s Directions in Music, John Scofield, Gary Burton, Pat Metheny and Antonio Sanchez, to name a few, as well as seven albums as a leader and hundreds of recordings as a sideman. The material for Koppel/Colley/Blade Collective was largely developed on tour, but some pieces coalesced during the recording session, with each member contributing compositions and arrangements. In the spirit of the group’s multiculturalism, “Alphanumeric” is based on three alphabets recited in unison-Koppel’s daughter in Danish, Colley’s daughter in English and the latter’s friend in Gujarati. To bring this Tower of Babel into unison, each girl recited her respective alphabet to a click track at a different tempo; Colley, Koppel and Blade subsequently improvised separately over each track to create a cohesive interlocking narrative groove. “Process and improvisation, which is spontaneous composition and composition, can all live very tightly together and exist at the same time,” Colley says. The remainder of the album avoids post-production splicing in favor of replicating the atmosphere of a live performance. Demonstrating his mastery of odd meters, Colley’s “The Seraph” transposes “Angel Eyes” into 11, with a bridge in 3. “The Smoke of Our Distraction” evolves from free improvisation over two contrapuntal melody lines. Don Cherry’s “Guinea,” taken from Old and New Dreams’ sophomore album, opens with a bass cadenza that channels Haden. “‘Guinea’ is one of the songs that I’ve been playing since I was 15 years old,” Colley says.